Thanks so much to Richard Worden for doing this research on Reverend Townsend. Two men traveled from the area of Missisquoi Bay to Quebec City where they were admitted to the priesthood of the Church of England on the twenty first day of January 1816. The Rev. Micajah Townsend and the Rev. James Reid were immediately assigned to parishes in the Bay area. Reverend Townsend was twenty seven years of age. Rev. Townsend was born in 1789 at Brattleboro, Vermont and was the sixth of eight children born to Micah Townsend and Mary Wells. The family received a land grant of 1200 acres at Farnham. Clearing and preparing the land consumed Rev. Townsend’s growing years and the neglect of his education. He eventually enrolled in school where he was the oldest student, the tallest student, and an avid learner. He soon found employment as a school teacher at Alburg, Vermont, Northfield, Massachusetts, and Philipsburg. 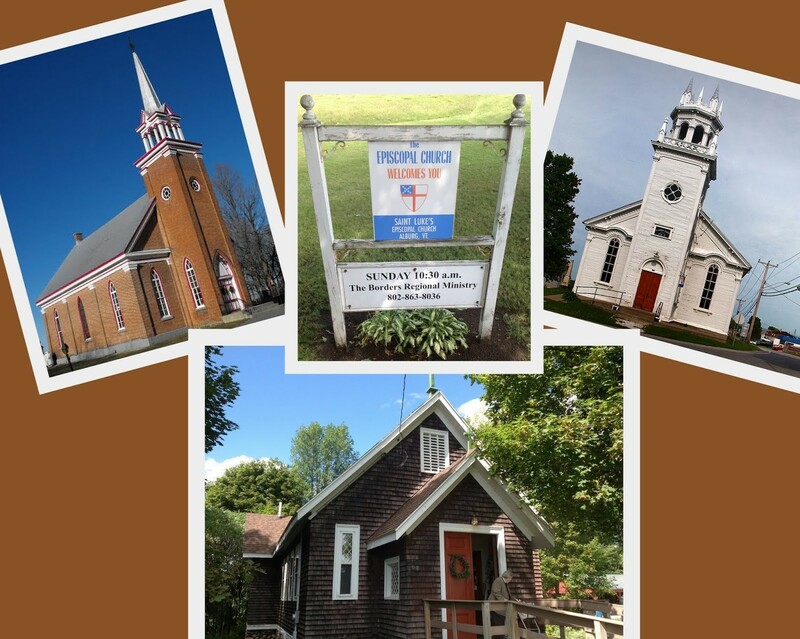 He attended services of worship offered by itinerant Methodist preachers, developed an interest in theology and came to the attention of the Rev. 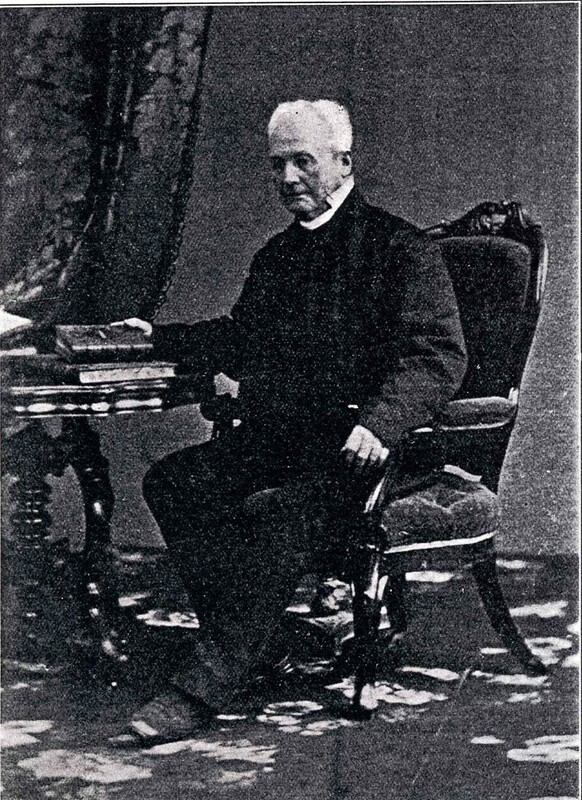 Charles Stewart of St. Armand who encouraged him to study for the ministry of the Church of England. Townsend and James Reid were tutored by the Rev. C. C. Cotton of Dunham, an Oxford University graduate, who in 1804 came to Missisquoi. 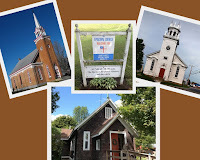 The congregations at Noyan, Clarenceville and Alburg was the official parish given to Mr. Townsend; however, he served a much wider area including being an Army Chaplain. An example of the extent of Rev. 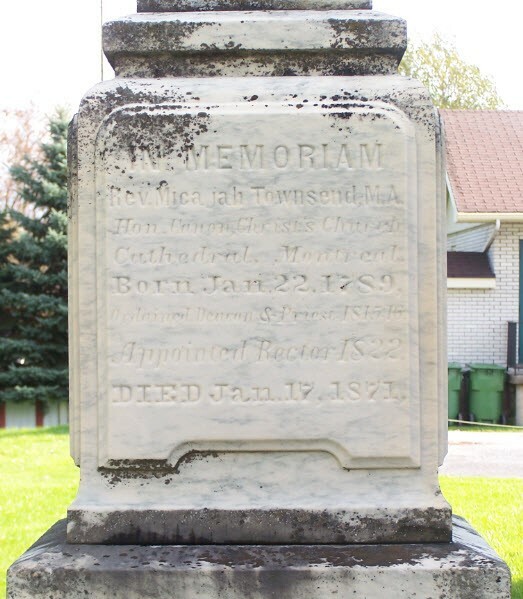 Townsend’s work beside Sunday services is the year 1832 when he performed 108 baptisms, 16 weddings, and 21 burials. He served on the board of the local Academy and acted as a spokesperson for many people. He was married twice and had nine children two of whom died at a young age. Rev. 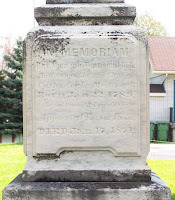 Townsend built his own house, farmed, constructed churches, established cemeteries, and was made an Honorary Canon of the Cathedral in Montreal. He died on the seventeenth of January 1871 and was buried at Clarenceville where his monument indicates that he held the degree of Master of Arts.